Every household needs to be cleaned thoroughly at least once a week. But there are some of us who are either too busy or too tired to take up the task of home clean-up. This is where professional cleaning services can help out. With their assistance, you can achieve a clean house and manage your busy schedule all at once. 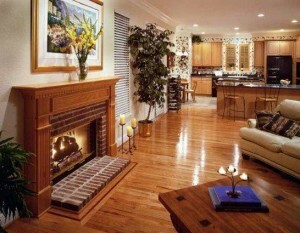 The first and most obvious benefit of hiring a cleaning service is that you get a cleaner home. You can come home from work each day and find yourself in an organized household without having to move a finger. Even your visitors will be impressed by the upkeep of your home. Although it doesn’t seem like much, but even little household chores can drain you of your energy and precious time. Hiring a cleaning service for your home allows you to have more free time on your hands. This can be well-spent with your family members, or for any other leisure activity you enjoy. Hence, you get the chance to relax and unwind after a hard day at work, rather than moving around your house, picking up the mess you made earlier. Most cleaning companies offer you the opportunity to choose which services you require from them. You can also set the timings and days of your house clean-up, according to your suitability. If there are certain areas in your home that require more focused cleaning, you also add those specific requirements to your list of chosen tasks to ensure that you get a satisfactorily cleaned home. Cleaning services usually train their employees after hiring them. So you are not just getting help from random people. The cleaners that come to your home will be well-trained and qualified for the work they are supposed to accomplish. They will be the experts in their field of work. Most of the professional cleaning services bring their own cleaning supplies with them. In order to provide their clients with the best clean-up possible, they use advanced, environmentally friendly equipment that will not harm your home in any way and result in a cleaner and healthier residence. Professional home cleaners make sure that they use cleaning agents that are not just of a good quality, but are also environment friendly, so that you are provided with a home that is free from harmful chemicals and has a safer and healthier living environment for you and your family. The benefits that these cleaning agents have on the environment are an added bonus. Cleaning services have a large number of staff employed in their company and if one particular employee is unable to work at your home, they will automatically send another in its replacement. So no matter what happens, you can be sure that your home will be cleaned on time and with proper efficiency. Considering the above benefits, if you struggle to complete your household chores, then you should hire professional cleaning services for your home. There are many companies that can offer you their cleaning services at good and affordable rates. They will work with efficiency to give you a clean house that you will love coming home to!